What we would have very much liked to report on here was the start of the construction of the school. Unfortunately our anticipated planning didn’t work out even and therefore we have to wait for another couple of month till the beginning of the construction works. Though the year 2018 started with a construction site. 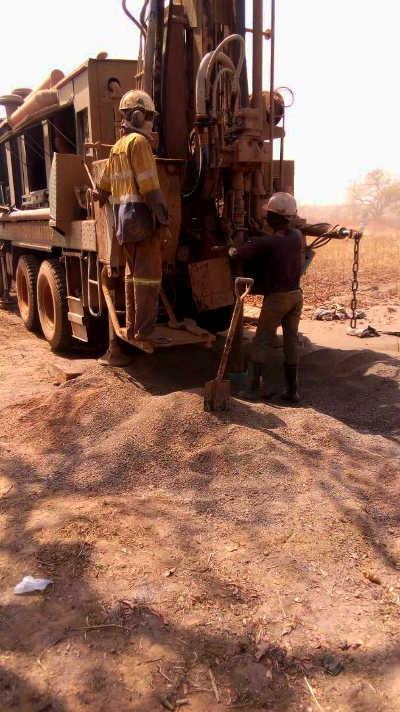 For the second time we dug for a borehole, after the contractor at that time made a mistake with the first one. That’s why we put a lot emphasis on the siting. And also the new contractor made a good work. And finally the new borehole could be put into operation in January. Since then it is a big help for the community, because it delivers both drinking water and water for the everyday work. Our big aim at the beginning of the year was however the construction of part of the school. We planned for a three classroom building with an office. The overall cost of 72.000€ was too much for our NGO to finance it on our own. That’s why we looked for donators and foundations. As a matter of fact we concentrated on getting the support of the German federal ministry of development and economic cooperation (BMZ). That gives sponsorships to projects in the development sector. We applied for such a sponsorship because we fulfil the formal criteria and we thought our project would meet their target group well. However it was rejected, since they thought that we have not carried out enough projects yet. This was a big disappointment for us since we put a lot of effort into that application and we had high hopes. Now we had to change our plans and think in smaller steps. These took precise shape in the form of another construction project. This time we planned a single classroom with an office and a store room, which would be much cheaper. At the same time we wanted to connect this construction project with capacity development. Already during the construction of the borehole we founded a committee which was in charge of handling and maintaining it. The same we wanted to do this time with an educational committee which should promote education among the community members. Altogether we applied for funding by the W.P. Schmitz foundation for this project. However they currently have so many things to work on that the earliest time point they can examine it is in January. So we still hope that they will grant it. Also in Ghana there were delays due to the administration. Although we are already in the possession of the land where the school should stand, we wanted to transfer it to our partner NGO respectively give them a 90 year lease. Thereby we try to set up professional structures instead of putting our trust into single persons. Unfortunately there stands a big administrative effort behind this process. Probably bureaucracy is a nasty topic in each country but especially in Ghana we were hit hard by it. Even though we already applied for it in September the lease is not completely through. Lately the death of an important traditional leader delayed it for some other months. At the end of the year we gained a new cooperation partner. The Fitness Lounge Cham started a challenge system for us, in which their members’ training achievements generate donations for us. This ways they handed us over 1600€. Because of the big success of the event the Fitness Lounge Cham wants to continue with their support. At this point we want to mention the Konrad-Adenauer-Gymnasium Westerburg and especially the AG for development and piece and the six graders. They held a charity run for our project where they collected 4900€. Even though the construction of the school still keeps us waiting many donators, members and supporters stay loyal with us. We want to express our gratitude for their trust, because this not only means a financial support to us but also gives us motivation to continue with our work. That’s why we start with a lot of wishes, expectations and zest for action into the hopefully successful year 2019! Still in 2018 our cooperation with the Fitnesslounge Cham started. The owner Martin Hiebl was very excited about our project and wanted to support us. In November the first event started: The “Let’s move for a better world challenge”. In a challenge system the members’ training achievements were converted into points for which the fitnesscenter in return donated money to us. 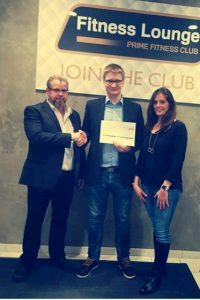 Thereby they already collected 1600€, which were officially handed over to our vice chairman Andreas Sperlich during the Christmas brunch of the Fitnesslounge. The charity event gained a lot of positive feedback among the members, that’s why we will continue with the cooperation. At the moment a lottery is running and its benefit will also be donated to our project. We thank Martin Hiebl and the Fitnesslounge Cham for their great support and wish all the members a lot of fun at the training! Still there is eager whispering and laughter but then suddenly silence sets in the assembly hall of the Konrad-Adenauer-Gymnasium(KAG) in Westerburg. Drum beating sounds from the speakers. Christoph Wenzl rises the students’ attention for the following programme with a short opening movie. Because on June 11th there was neither maths nor German on the sixth graders’ timetable. 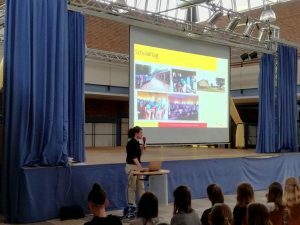 Instead for two hours they got introduced to the life in Africa, the Ghanaian school system and the Taha-School-Project’s work. With the help of many pictures Christoph Wenzl impressively presented the everyday life in Ghana, he showed the capital crowded with cars and just as well crowded shops. The youths were carried away to a new world and they marvelled at the sight of the strange and surprising pictures from Ghana. 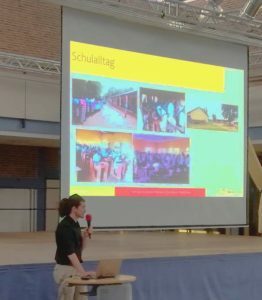 After the general introduction Wenzl reported on the student’s life in Ghana and especially presented the work of the Taha-School-Project. 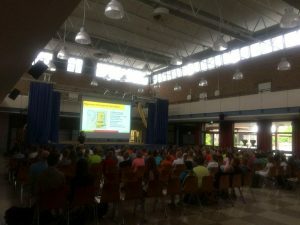 Beginning with the funding idea to the next planned construction projects he explained every detail to the students. Finally he showed a video of the borehole which was completed this year, which earned much applause from the audience. It was very important for Wenzl to stress the NGO’s tasks, since he wanted to show the youths on what their donations are spent. This was the reason in the first place why our chairman travelled to Westerburg, because the earnings of the annual charity run will be donated to the Taha-School-Project this year. The event as well as the talk were organized by the working group for development and peace (AGEF), a student’s union. 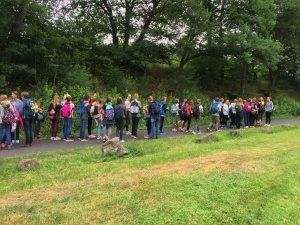 The responsible of the group were very pleased about the talk as well as the supervising teacher and they assured that this gave the students extra motivation to collect donations on the charity run the following week. And indeed, this is what happened, because the sixth graders were able to collect the amazing sum of 4800€. We cordially thank them for their donation and the invitation to the talk. We are always happy to talk about our work and motivate young people to get engaged. A special thanks goes to the members of the AGEF for the great organization. 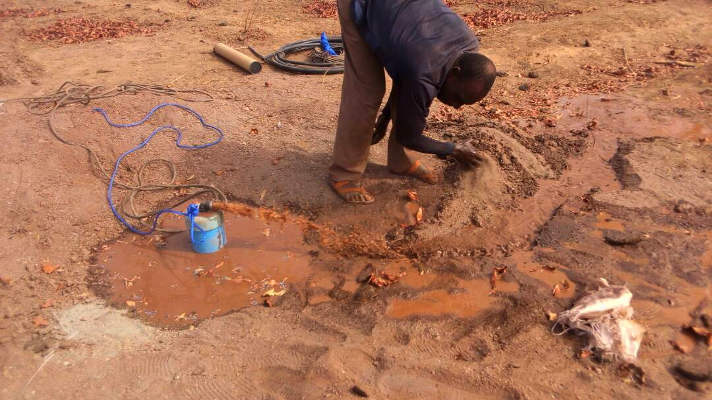 In the long-time planning of the school there was always considered to dig a borehole, first however only to supply the students and teachers with drinking water. But our local partner ensured us that already during the construction period the direct accessibility of water would make work much easier. 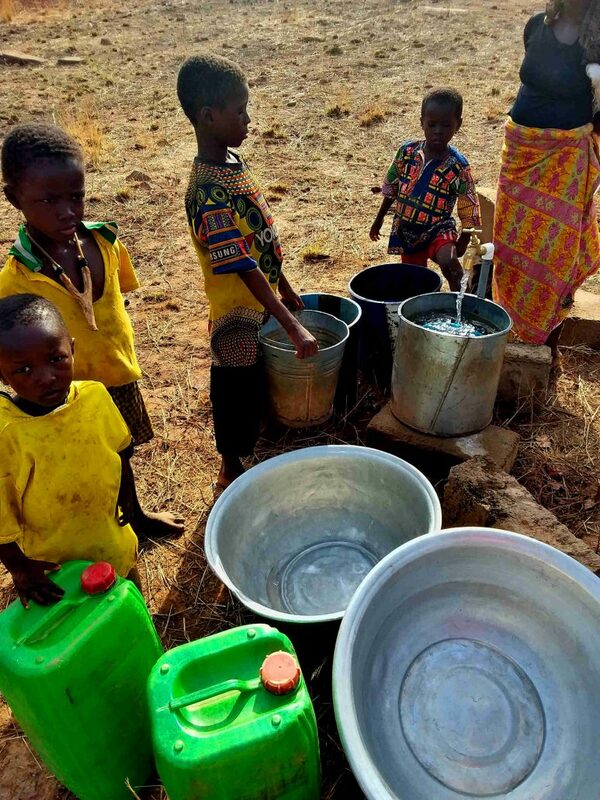 Moreover the easier access to clean drinking water would mean a tremendous improvement of the inhabitants’ situation. 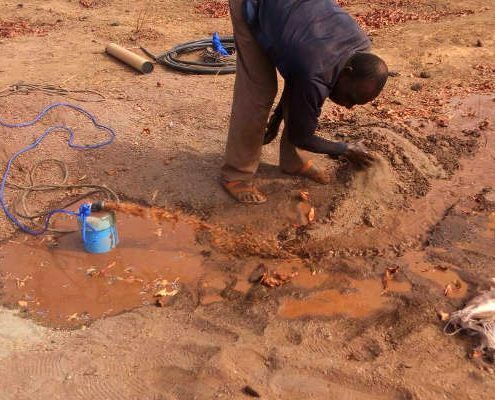 Therefore in 2016 a borehole for drinking water was dug, equipped with an electric submersible pump. However the building enterprise made a big mistake and that’s why shortly afterwards caving sand congested the pump and the borehole was impossible to run. We couldn’t draw the enterprise to responsibility, by now they are insolvent, and that’s why we had to start from zero. We all agreed that a new borehole is absolutely necessary. But this time we applied for different grants. Through this it came to a delay till we finally decided to run the project on our own budget. From this point our partners in Ghana took over. This was also the first official project of the newly founded “Northern Educational Alliance” (NEA), our partner NGO. The biggest challenge already came up at the beginning of the project. It was sitting for the right place to dig. Therefor several geological surveys were conducted for different sites. 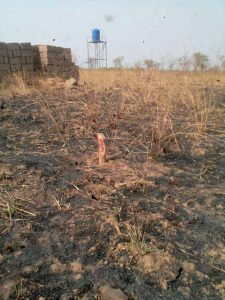 Tamale and the surrounding area, to which Saguli belongs is well known for the low lying groundwater line and this was also a problem we had to face when drilling the first borehole. 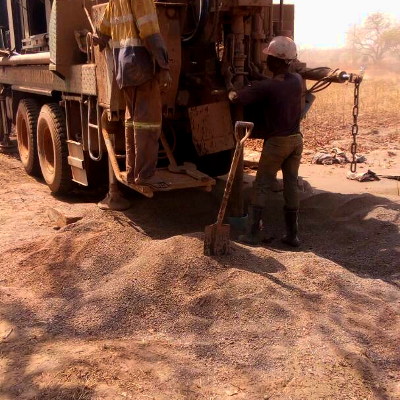 For the contract of the drilling we made a bid and Terrahydro Associates LTD. was the company which finally won among three drilling companies. They began drilling on the 13th of January 2018. The expectations were very high und therefore many inhabitants came to watch the work. Among the people present at the drilling site where the chairman for NEA and his Executives, the chief of Saguli and some of his elders, the Assembly member of the area and cross section of the youth and women of the community. The joy and the relief were enormous when finally at approximately 80 metres depth water was hit. The work delayed for another month because the contractor had to fetch mechanizing material from the national capital. However on the 28th of February 2018 the project was successfully completed. 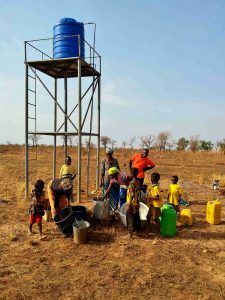 From now on the borehole is available as a source of drinking water for the inhabitants. It is run by a fuel driven generator. 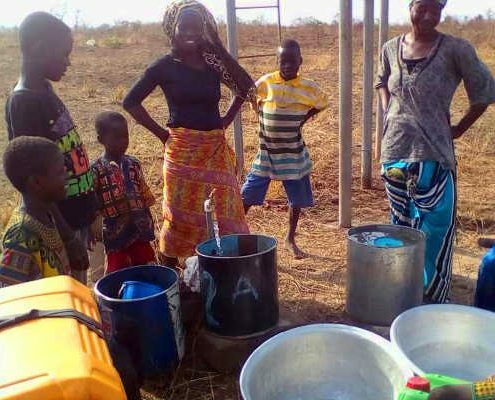 A specifically founded water committee composed of the community members will care for its running costs as well as the maintenance of the borehole. 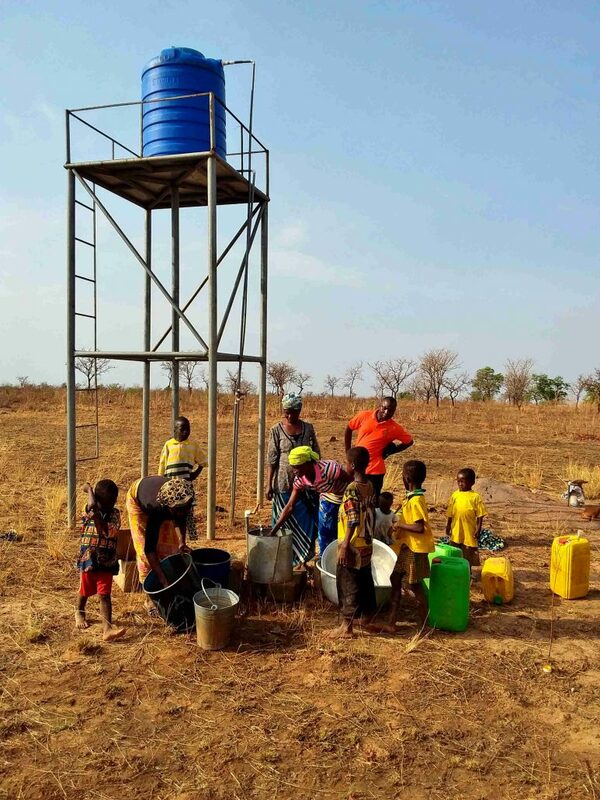 As soon as the school is completed the borehole should be primarily used by the students. We and the community members of Saguli are highly pleased about the successful completion of the project which will significantly improve the local situation. Even if it is just a small step, it is a step towards the right direction. 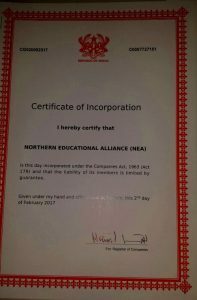 In 2017, an NGO (non-governmental organization) was founded in Ghana under the name “Northern Educational Alliance“. Their chairman and our long-standing partner, Alhassan Salifu, had the basic idea for the Taha-school-project. The newly founded association aims to create structures for education, especially for girls, in northern Ghana. The NGO consists of five members and is our local partner association. Founder and chairman Christoph Wenzl took part in an advisory seminar of the organisation “bengo“, a subordinate body of BMZ, in May. The focus of the two-day seminar was the question of how to submit funding applic ations and what has to be considered, especially in other countries. 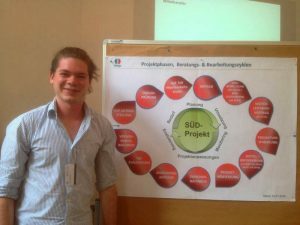 Christoph also received many other valuable tips on project work and was able to exchange ideas with representatives of other associations and establish contacts. The goal for the new year is therefore to structure the work in Ghana even better and to work sustainably on site. 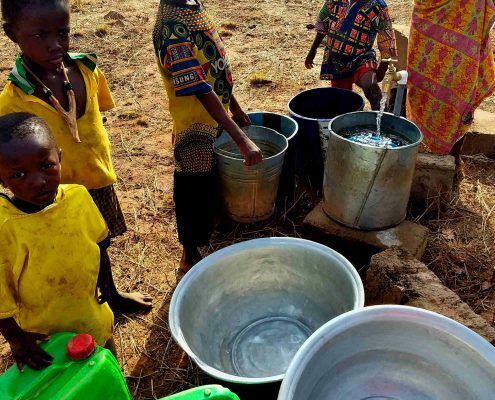 For this reason, a water committee and an education committee have been set up in Ghana to monitor progress and problems and to ensure the long-term success of the project. Inspired by the impressions from the seminar, we mainly dealt with the planning of the project last year. In this way, we were able to develop a solid basis for all further steps and hope to submit a funding application to the German Federal Ministry for Development and Economic Cooperation (BMZ) this year to finance the school’s main building. Our partners in Ghana were also busy last year. They hired a new well drilling company. 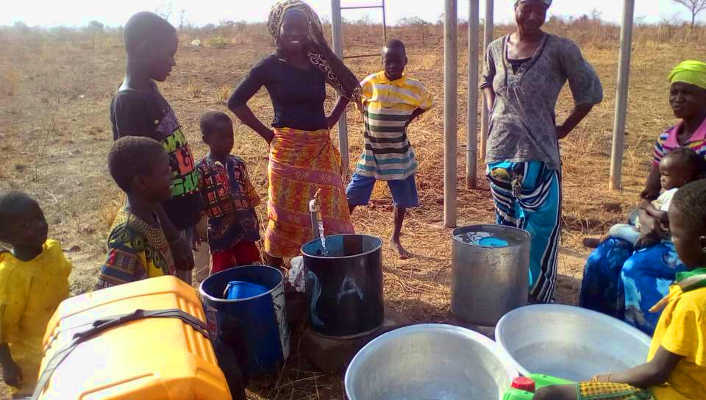 At the beginning of this year, work will now begin on the new well, which is important not only for construction work but also for the later operation of the school. 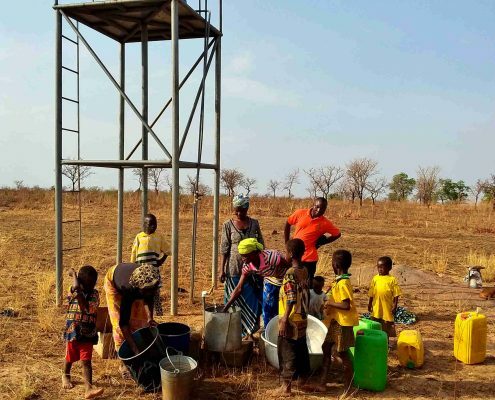 First of all, however, the well should serve as a source of drinking water for the villagers, as they have so far only had very difficult access to clean water, and we hope to improve their living conditions in the long term. Finally, we would like to thank you. Without the active support of our members and donors we would never have come so far. 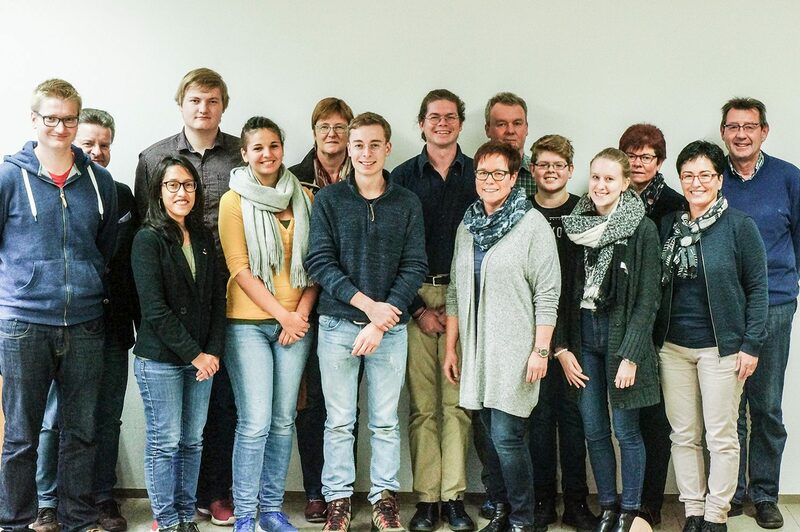 Taha-Schul-Projekt e. V. already has 32 members! We would like to thank you for all membership fees, all donations collected at birthday parties and other events and for your help in organizing and coordinating the daily tasks. 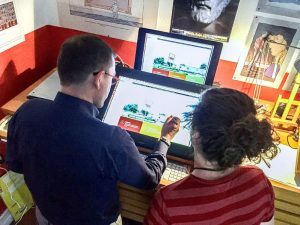 We would like to take this opportunity to pay tribute to Robert Wenzl, who redesigned our website last year. We look forward to an exciting and productive year 2018! Concert, a journey to Ghana, new plans, many tasks. That’s how we could describe our annual general meeting in just four words. But of course there were more than just four words spoken, especially of the journey to Ghana, which Michael Altmann, Christoph Wenzl and Michael Wenzl made in september. However the members got not only stories to hear, but also a short video clip of the journey to see. In the first half of the video Taha and its residents are shown. This is followed up by a interview with Alhassan, which clearly pictures the current situation. With this video und other pictures of the journey we want to advertise our project even more in the next months. But the three members took not only pictures, they could also meet many responsible persons, such as the chiefs of Taha and the surrounding villages and they could convince themselves of the progress at the site. The events in Germany last year were also successful for our NGO. On the first place stands, of course, the charity concert of “Lehra und Mehra” in June, were we could earn 6500 EUR. After last years summary the planing and the further procedure were decided on. The meeting was closed with a group photo. We send the protocol to everyone who is interested in our work. We will be pleased even more about new members. Just contact us our fill out the form (find it at “conctact”). 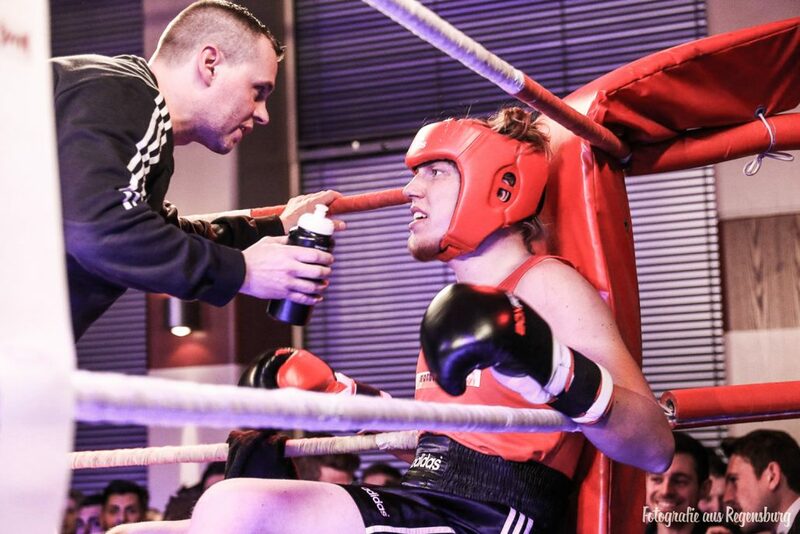 Once again there was adrenaline, emotinons boiling up, blood, sweat and black eyes. 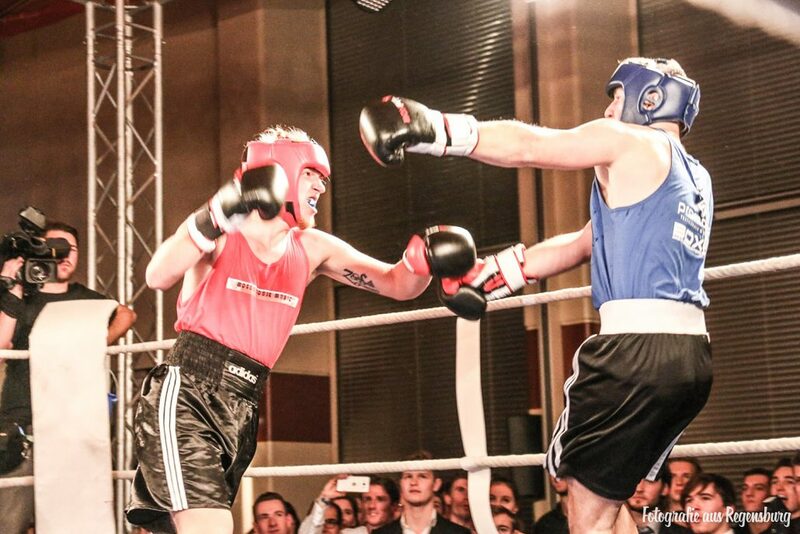 The Students’ Charity Fight Night took place once again this year at the “Kolpinghaus” in Regensburg. 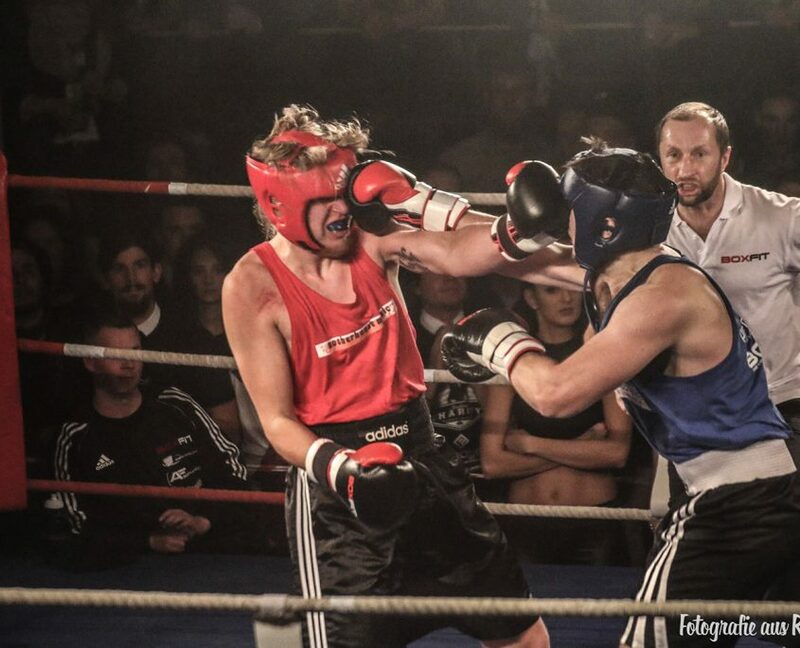 Like last year students from different faculties fought against each other for a good cause. And the guests – all in dresses and suits – cared for the right atmosphere. 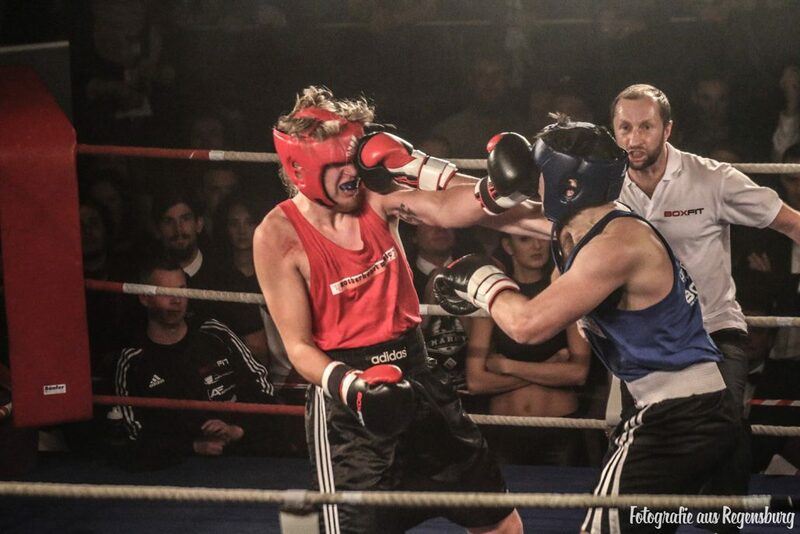 Also this year the Taha-Schul-Projekt sent a champ into the ring. 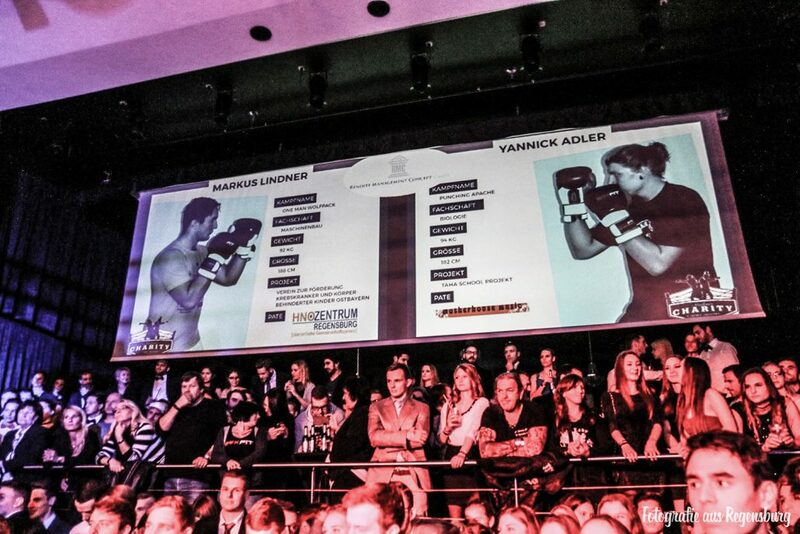 Yannick “the punching Apache” Adler fought all the three rounds for our project. He was really compasionate and gave everything. We thank him very much for his performance. After six further fights the ring was turned into a dancefloor and the guests and the fighters could celebrate till the morning. 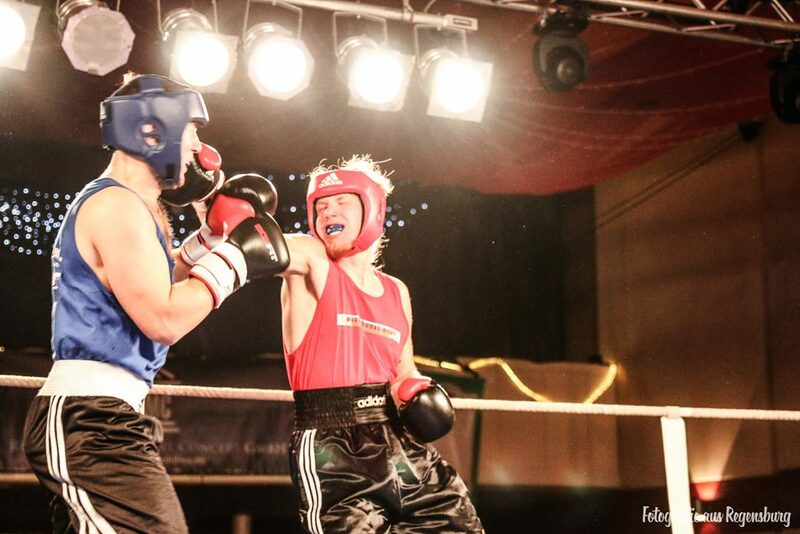 For everyone who wants to know more about the Students Charity Fight Night or who wants to take part next year, visit them on facebook. For everyone who couldn’t be there, here are some few pics of the evening. The reasons are two birthdays in July. First founding member Thomas Lehneis, who celebratet his 50th birthday. But he dispensed any presents and instead collected a donation for our schoolproject. 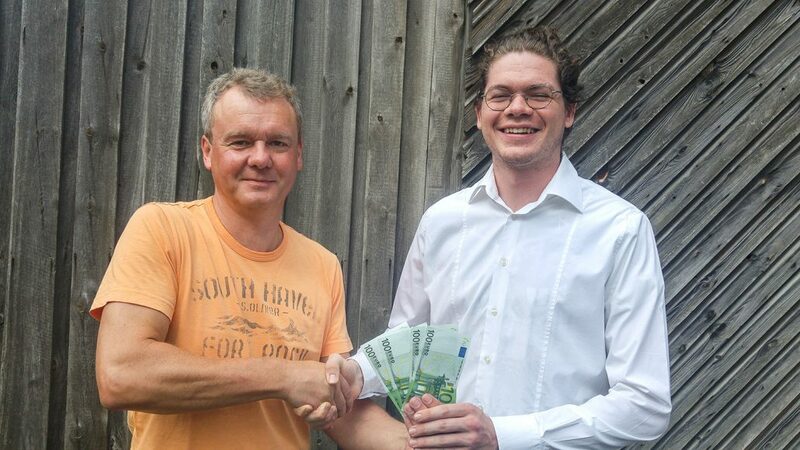 Finally he war proud to hand over 400 EUR. And Margit Schneider also celebrated a big birthday. 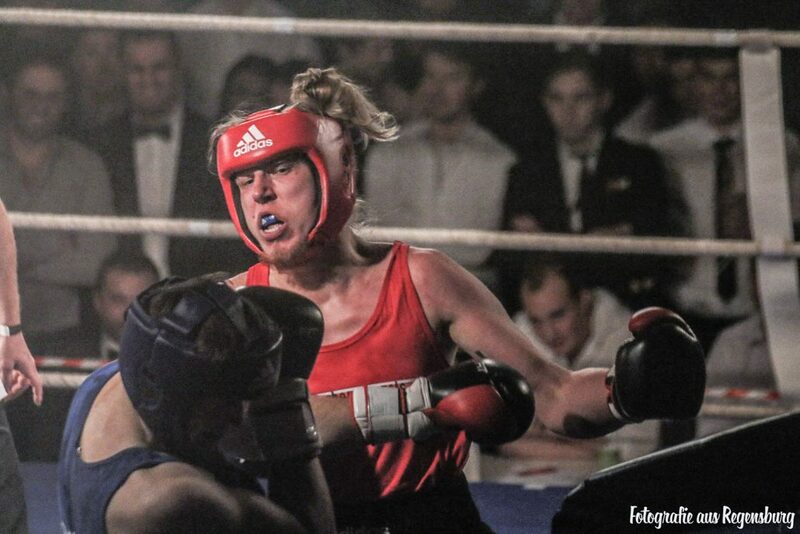 She is supporting the Taha-Schul-Projekt sindce the Students Charity Fight Night with continous donations. On the occassion of her 60th birthday she want to please also others. And this she did by giving us yet another big donation. We express our sincere gratitude and we congratulate once again. What a great donation! 6500 EUR!! On Monday morning choire leader Andreas Ernst handed this check from the proceeds of the charity concerte, which the choire “Lehra und Mehra” in cooperation with the brassgroup “Volles Rohr Blech” and a string quartette hosted in the church “Maria Hilf” on the 4th of June, over to our chairman, Christoph Wenzl. Not only this amount proves that the Nightconcert with lightinstallation was a full success. The audience was enthusiastic over the music and the interplay between the different ensembles. The minster “Maria Hilf” gave the perfect ambience for the impressive sounds and everything was underlined with Gregor Bauer’s lightinstallation. The concert was completely sold out and this is how the great amount of 6500 EUR came about. 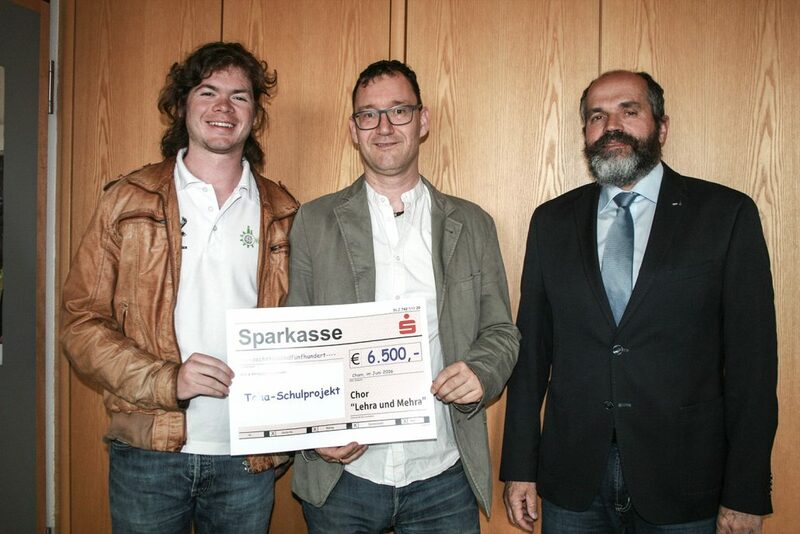 The money could be donated to our Taha-Schul-Projekt because every participating player forwent his fee. We were also excited about this wonderful concert and we are very pleased about the donation. Once again we thank all the participants. 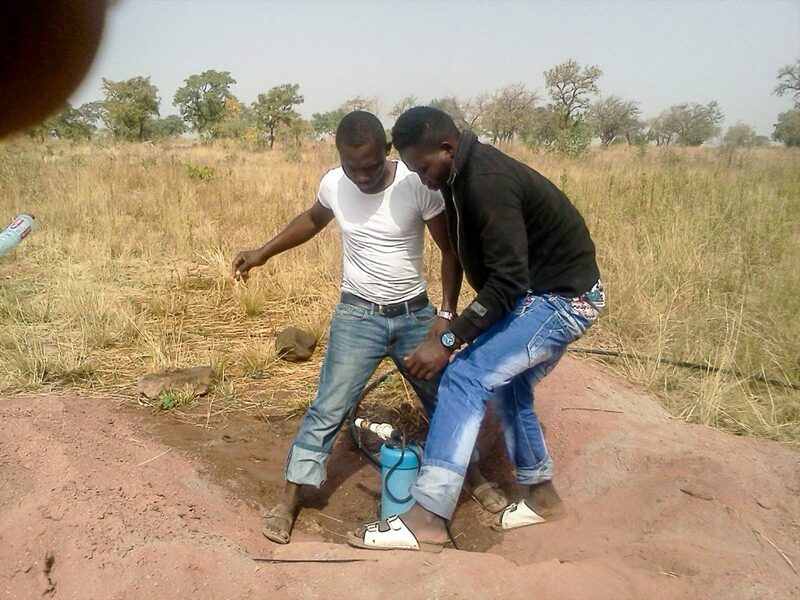 A first big step could be achieved with our borehole completion. 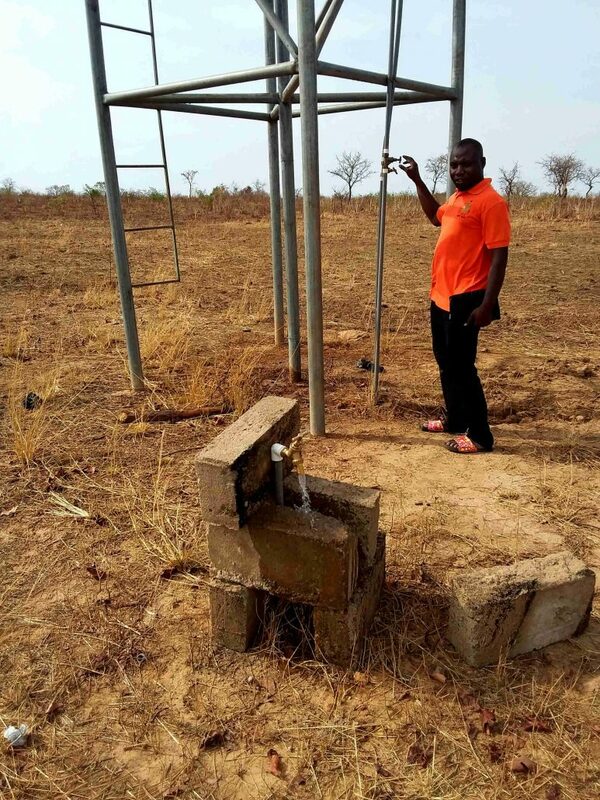 This borehole will provide the students with drinking water once the school is opened. Furthermore it already means an assistance at the work site, because now no water e.g. for the concrete has to be delivered costly. When we began drilling in November, the excitement was big if we will hit water. But then the reliefing news came: The drilling was a success and the workers actually hit water. In fact they had to dig 100 metres, but nevertheless it was big luck, because thus it saved us the costs and efforts of another drilling. 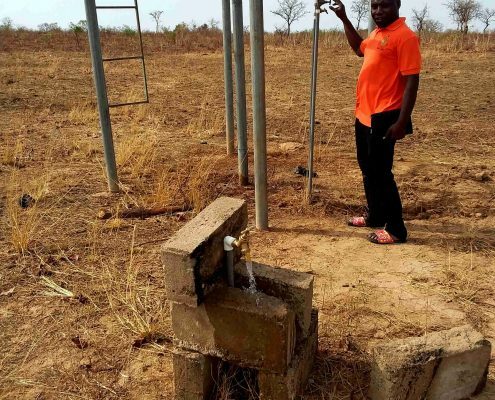 The borehole instantly was mounted, which means, that a pipe was laid and a casing pump was connected. Besides a generator and a polytank with stand will be acquired. In total the costs added up to 6000 EUR, which could be covered up with the generous donations and the successful charity events of the last year. We are pleased that the building of the school is going forward step by step and we count on further help from your side. Two workers connecting the pump.